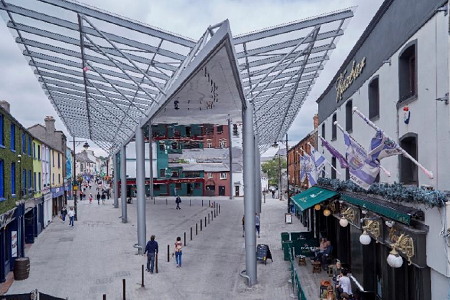 Phase 1of Waterford City and County Council Public Realm Works, executed by Murphy Civil Engineering, consisted of the complete reconstruction of the Apple Market and John Street streetscape in Portuguese Granite and Irish Blue Limestone. The skills of Murphy Civil Engineering and Murphy Structural Steelwork Fabrications combined to create the spectacular feature of the structural steel-framed canopy with reflective mirrored soffit. The main elements of the works consisted of the demolition and reconstruction of the railway viaduct wall (landside), ground anchor strengthening of the viaduct wall (canal side), renewal of platform copings and surfacing and fabrication and installation of staircases and footbridge over the DART overhead powerlines. 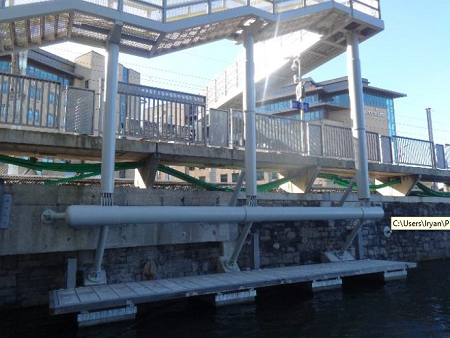 The footbridge and staircase, over Canal Basin, was supported on a structural steel assembly anchored into the viaduct wall. 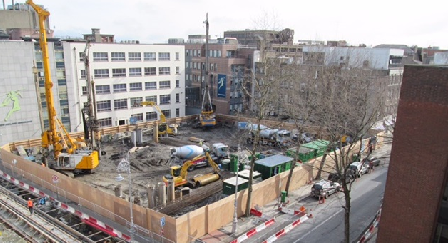 Our ground engineering team has worked on the prestigious development in central Dublin, spanning the corner of Dawson Street and Molesworth Street, to create a triple-basement to provide these modern offices with storage, parking and state-of-the-art facilities for future occupants. 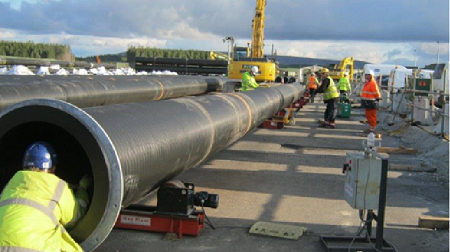 This Murphy project won the 2016 Land-Based Pipeline Projects Award, awarded by the worldwide Pipeline Industries Guild, for the largest single infrastructure project ever carried out in the history of the Irish state. The team worked on the construction of a 4.9km tunnel under Sruwaddacon Bay, County Mayo, forming an integral part of the Corrib gas field project. The tunnel, the longest of its kind in Ireland and the longest service tunnel in Europe, was built on behalf of Shell E&P Ireland. 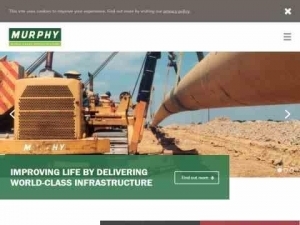 To meet the ever increasing need for renewable energy a specialist team from Murphy was tasked with securing 12 turbines in challenging terrain, to service a wind farm in Co. Offaly. 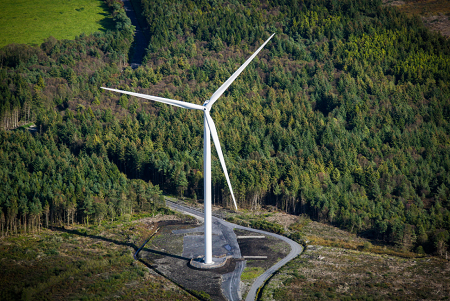 The ground engineering team successfully achieved this, securing the largest turbines in Ireland, each stretching 91m to the hub, constructing a ring of rock for socketed piles, with pile numbers varying from 16 – 20 per turbine. This is an example of a 200 tonne bridge fabricated in Ireland and installed by Murphy in Bolton, UK, during a 54-hour possession. This plate girder bridge work for Network Rail spanned 39 metres by 9 metres, with 3 metre-wide walkways on each side. We used weathering steel so there is no need for future painting to the underside of the deck.